In this blog post, I review two unique ice cream cafes in and around Delhi. First, a quaint lil ice cream cafe in Gurgaon called Fumo Creams. For the uninitiated, the word "Fumo" means smoke. True to its name, Fumo Creams leverages liquid nitrogen to infuse delicious and customized flavors of ice creams right in front of your eyes; watch the fun unfold layer by layer, as you try an innovative spread of nitrogen ice creams, rolled ice creams, smoky biscuits, dipping dots, and smoky mocktails. 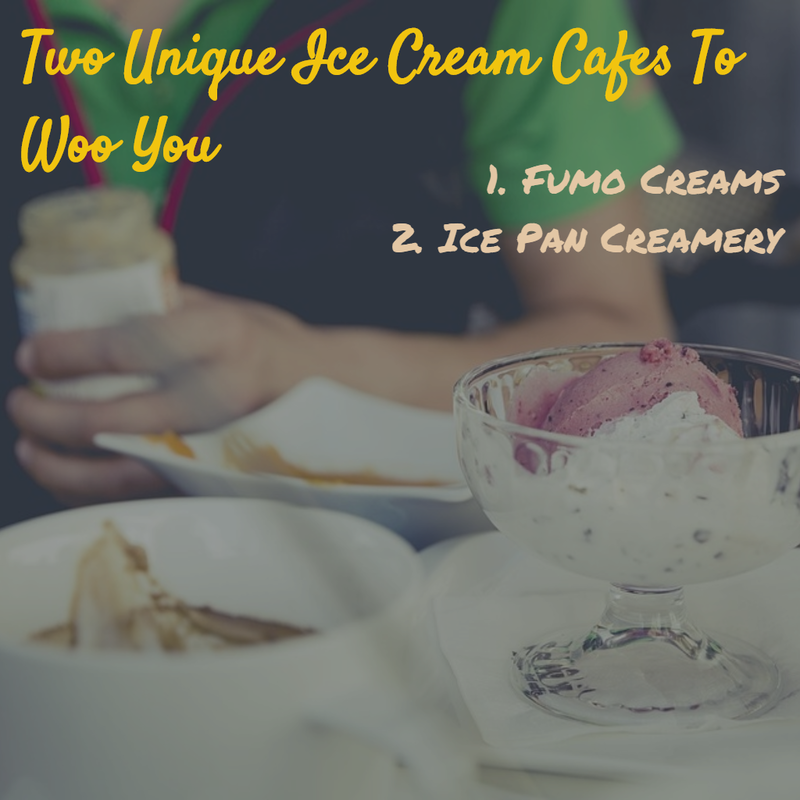 The brainchild of young entrepreneurs Surbhi Kumra and Ankit Aggarwal, Fumo Creams is a ten-second takeaway nestled in the heart of Huda City Centre metro station. My recommendation would be the rolled ice cream tacos that pack a punch in every bite. If you love everything chocolaty, go for the Hazy Hazelnut curls, priced at a paltry ₹ 130. Thinking of something 'fruiticious'? Indulge in the Mango Mania curls, priced at ₹ 100 only. Room for more? 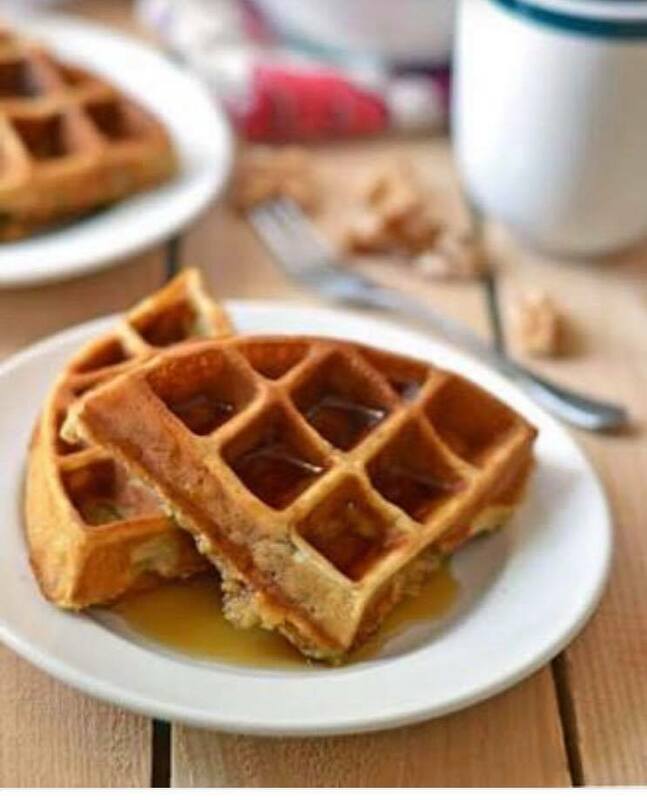 Try the Kesari Badam curls (Specials) priced at ₹ 130 or the Blueberry Bliss (Creamy Dots) priced at ₹ 90. 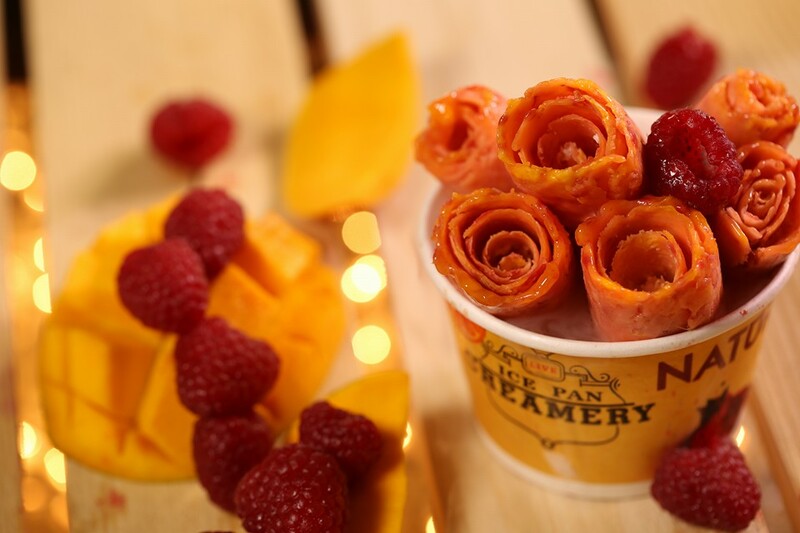 Fumo Creams provides yet another reason for foodies to remain eternally grateful! Second up is Ice Pan Creamery. Live. Natural. Fresh. Three magical words to describe the much loved and fast-growing ice cream brand in Delhi called the Ice Pan Creamery. 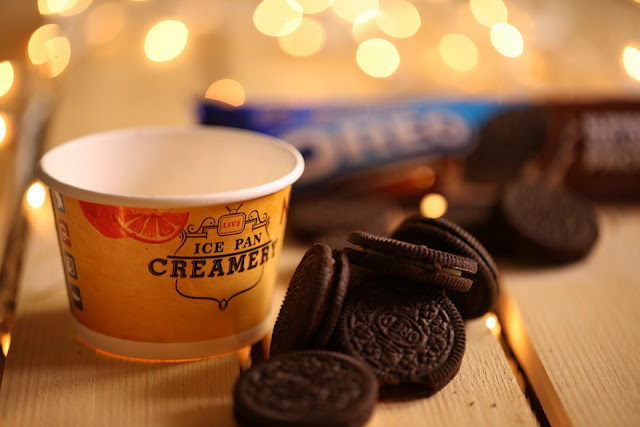 Visited their newly opened, swanky ice cream cafe at the DLF Place Mall in Saket last week on the recommendation of a friend who just couldn't stop raving about the premium Tequila Ice Cream Rolls (with Candied Orange) and Oreo Shake that he savored at the outlet. 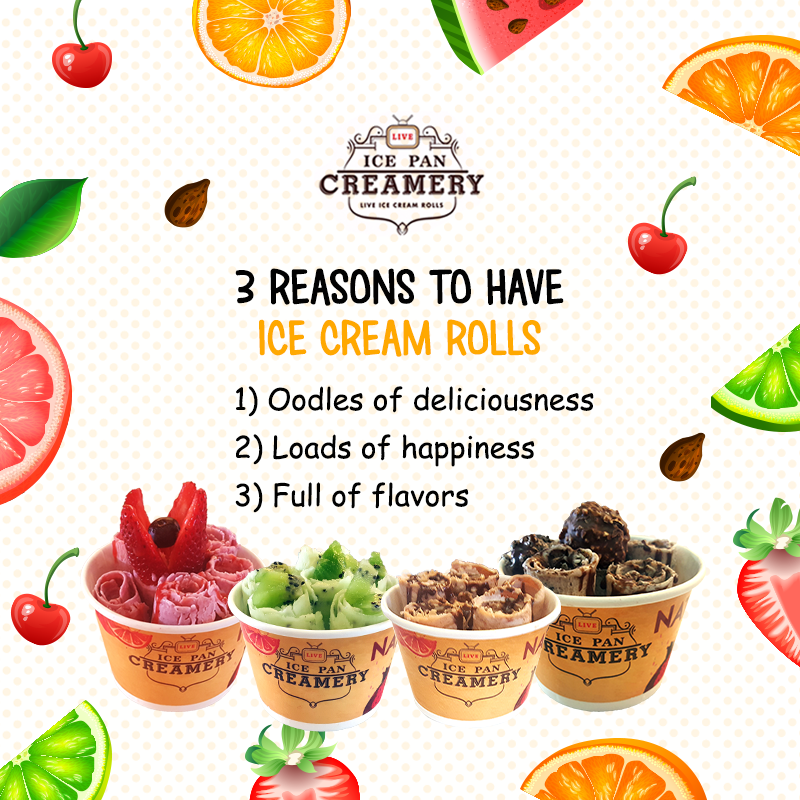 Not only will you relish the live ice cream rolls handmade in front of your eyes, you'll also be tempted to taste the fresh and natural ice creams, beverages, warm waffles, pancakes, brownies, and muffins. My personal favorite is the Ferrero Rocher Ice Cream Rolls. Imagine the rich chocolaty goodness melting inside your mouth, the kind of motivation you need to get through the week! And while you're at it, do try the Cuban Cigar Godfather Rolls or the Blueberry Overload Sorbet. Like me, if you're also mad about ice cream rolls and beverages, spread the word and let the fun begin ... Come, party with the rollstars!